Nobody knows what the future holds, yet we go about our daily lives making plans for the future assuming that we will be here to do what we plan. There is nothing wrong with that. However, it is wise to also make plans for the future for when we will no longer be here. That’s right, I’m talking about planning on what can happen should you pass away. Having a will (last will and testament) will allow you to plan for the future of your loved ones, and it will give you the freedom to declare of how you want to dispose of your belongings. Whether your estate is very small or very large, through a will you can direct “who” is to receive “what” after your death. You can also select a personal representative (an executor) to administer your estate and pay debts and inheritance taxes (if any). If you have minor children, especially from a previous relationship, you need a will to address the issues of inheritance and legal guardianship. Should you die without a valid will, the state will decide who will be your children’s legal guardian. Even if you do not have significant assets, you should name a guardian for your children and direct which assets will provide for them in the event of your death. Planning for the future of your children is particularly important if you happen to have a special-needs child. If you die without a will, a state will decide who gets your estate, and that could be your long lost brother, if he happens to be your only living relative, even if he has not talked to you in over 20 years. Guess who will not get your estate… your beloved fiancé/fiancée, your best friend who was there for you (instead of your family), or even your pooch who was your loyal companion. If you want to provide for your fiancé/fiancée, friend or partner, you need a will, as the state will not recognize that person as a family member and will not provide for that person. 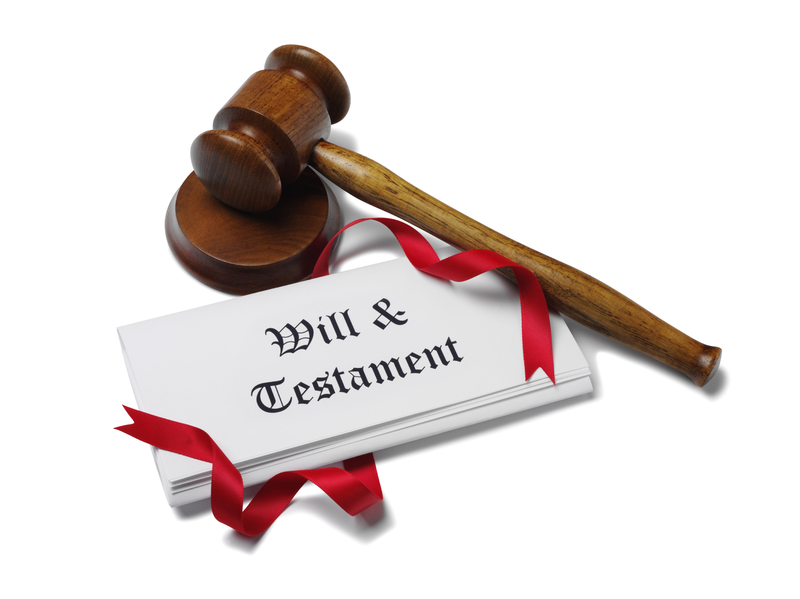 Other reasons to have a will are to direct as to who is to receive your personal possessions, to minimize expenses from your death or disability, to avoid probate, to provide for a beloved pet or other animal, to make charitable donations, or even to cut someone off! In short, you can better protect yourself, your friends and family, and your assets by making an investment in an estate plan. This kind of planning is no longer just for the senior citizens, or the wealthy. Death can strike anyone, as accidents and illness do happen. An Advance Health Care Directive: commonly referred to as a living will. This is a document through which you let your family and doctors know about medical decisions you have made before the medical problems actually arise. It usually addresses the situation in which you are terminally ill or you otherwise do not have the ability to communicate your decisions to your doctor at the time, such as being in a coma. Power of Attorney: this is a document that enables you to give someone you name the authority to manage your financial and business affairs should you become unable to make such decisions yourself (for example, if you become mentally ill or an accident puts you in a coma). The most common type of authority given is the ability to pay bills out of your checking account, but the amount or type of authority varies with your need and situation. You can also make the authority effective immediately or you can make it effective only upon occurence of a certain condition or event. Standby Guardianships: this is a mechanism whereby you as a custodial parent or a current legal guardian who is faced with the prospect of a progressive chronic disability or a fatal illness can plan for the future of your children while you are still able to do so. This enables you to name a temporary legal guardian to care for your children without giving up your parental rights during your disability or illness. Letter of Last Instructions: this is actually just a letter you write to your family and executor, if you have a will, in which you let them know where all your papers are, such as your will, your life insurances policies, your bills, the deed to your house, the title to your car, and other important papers. Additionally, in this letter, you can let your family know what type of funeral arrangements you have made or want to have made. Having a letter like this eliminates the need for your family to have to go through your entire house looking for your important papers. It helps to ease the emotional stress your family would already be feeling. This entry was posted in Wills & Estate Planning and tagged Advance Health Care Directive, Guardianship, Last Will and Testament, Letter of Last Instructions, Living Will, Power of Attorney, Will. Bookmark the permalink.